I found your article about Hoy No Circula and the map. The map indicates that the restricted zone does not include the entire state of Mexico. Other info we have seen indicates the restricted zone includes all of the state of Mexico. Can you clarify and/or provide websites that might be able to clarify? Thank you for any help. Good question! The following recent press article – http://www.eluniversal.com.mx/edomex/2013/impreso/viable-el-8220hoy-no-circula-8221-en-toluca-7280.html – indicates clearly that there is not yet any “hoy no circula” program in the Valley of Toluca, so clearly the program does not (yet) apply to the entire Estado de México. 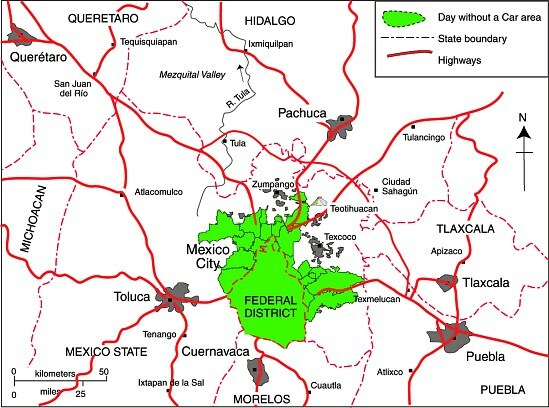 The map remains correct, see http://comisionambiental.wordpress.com/2013/11/01/el-programa-hoy-no-circula-en-el-valle-de-mexico-opera-de-manera-normal/ [dated 1 Nov 2013] from the Comisión Ambiental Metropolitana webpage. 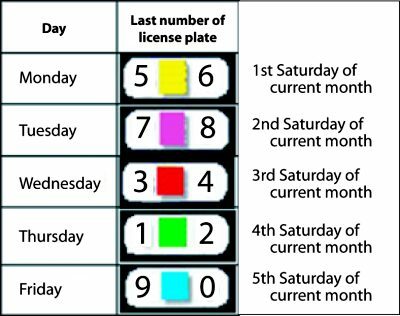 Note that a couple of municipalities in the State of Mexico are reportedly not currently enforcing “Hoy no circula” (on the grounds that traffic police have been overzealous in hassling motorists) – but obviously, you can’t rely on that still being true in the future!